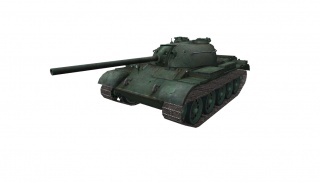 The T-34-2 is often compared to the Type 59 as it has a similar design, speed, turret, and can even equip the same gun. However the playstyle of the T-34-2 is different than that of the Type 59. Unlike the Type, the T-34-2 has less hull armor and mobility. Like with most Chinese tanks above tier 7, this tank has very little gun depression. With the compact design of both the hull and the turret, being killed by being ammo racked and catching on fire can be a common occurance. The T-34-2 can be played in a variety of ways. It can be played like a heavy medium tank when using the 122mm gun which is an unexpected heavy tank gun on a medium, or play it like a conventional medium tank with the 100mm gun. Both ways have their advantages and disadvantages. When Using The 122mm 37-122JT * The T-34-2 can be considered a very unique tank. It has multiple weaknesses and can be difficult to adapt to but has greater alpha damage than tier 8 heavies, premium HEAT rounds with tremendously improved penetration, a compact size, and a very tough turret. The T-34-2 has very low DPM and cannot fight enemies head on effectively. Even while flanking, the poor on-the-move accuracy and very low rate of fire make engagements difficult. 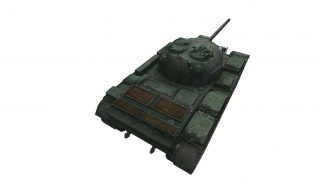 The biggest strengths of the T-34-2 are its shell damage and good camo value. The T-34-2's play-style is actually similar to that of an autoloader, its true potential lies in flanking a vulnerable enemy, dishing out heavy alpha damage, and then retreating to cover, or ambushing an enemy using camouflage. 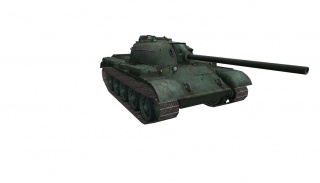 As the T-34-2 is a relatively rare sight on the battlefield, most players never expect the small and paper-armored medium to have the firepower of an IS. The T-34-2 well-utilizes bushes and can often remain hidden while firing. As difficult as it is with the 122 mm, sniping is a very viable tactic, but the gun can only be used at a moderate distance. On top of that, the reasonable view range makes it an excellent passive scout. When Using The 100mm 59-100T * The 100mm top gun of the T-34-2 allows you to play this like many other mediums, although this tank does have less armor than many other tier 8 mediums, it makes up for it with great armor sloping and a very strong turret. When compared to the 122mm, the 100mm gives you a faster reload time, better accuracy, higher DPM that is higher than many other tier 8 medium tanks, and better shell penetration that is on par with other tier 8 medium tanks. The 100mm top gun also gives you 3 more degrees of gun elevation and 2 more degrees of gun depression. This tank plays as a flanker and support tank but with a twist. The fast reload, and accuracy with the mobility enables you to obliterate enemies by circling them to death and the hull slope and turret armor allows you to also make excellent use of terrain, buildings and ally tanks. Other benefits of this tank are it's small size and good camo value, making it easy to sneak around enemies to get to their rear and it allows you to sit and snipe from bushes if you desire. One of the smaller advantages when using the 100mm gun is that it saves on shell cost, 100mm AP shells cost 252 credits compared to 122mm AP shells costing 1025 credits. It is best to research the tracks first so load capacity isn't a problem. Then start researching the engines so you have speed to out flank/maneuver enemy tanks. 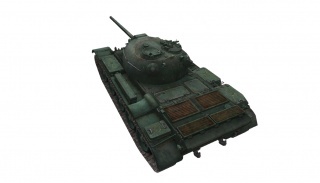 You should already have the 100mm gun after the turret from previously unlocking it on the T-34-1, so you should buy and equip it after researching the turret,the T-34-2 Model 2 turret also adds 100HP to the tank's health. To reach the WZ-120 you need to research the last 100mm gun. It is optional to research the 122mm gun, but it should be done if you want to either go up the heavy line, Elite the tank, or use the 122mm on the T-34-2. Esta página fue modificada por última vez el 25 oct 2016, a las 09:03.